The 62nd London Boat Show, which drew to a close yesterday, attracted 90,328 people through the doors of ExCeL London over 10 days. This compared to 92,288 visitors to the 2015 show; 88,593 to the 2014 edition; 93,327 in 2013; and 102,841 in 2012. The 2016 show saw more than 132 boats make their debut, including the largest ever boat to be globally launched – a 40.05m Sunseeker 131 Yacht which was berthed out on the dockside. Many companies reported an increase on last year’s sales figures including multi-million pound deals. There were close to 400 boats showcased with several new brands such as Adidas Sailing and Bainbridge International exhibiting at the show for the first time. Sean Robertson, sales director at Sunseeker, said: ‘This has been our most successful London Boat Show for a number of years, with confirmed boat orders worth £40million of retail sales (exc. tax) and several more sales in the pipeline. 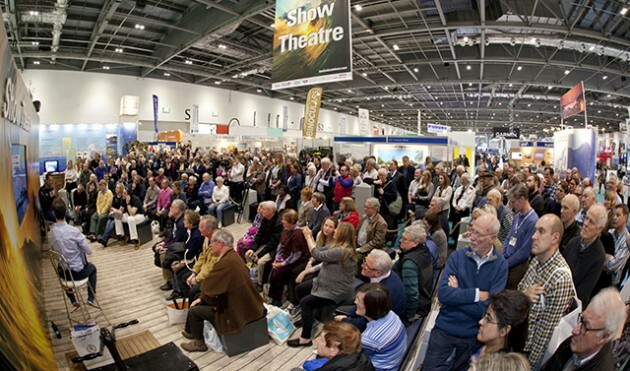 The Show Theatre welcomed a line-up of boating experts with topics including the latest technology and innovations. Alec Wilkinson, one of Britain’s top live sailing presenters, hosted daily panel discussions with guests including America’s Cup commentator, Tucker Thompson, world-class Olympic sailor, Sir Ben Ainslie, Land Rover BAR’s fitness coach, Ben Williams, Volvo Ocean Race winner, Ian Walker, and record-breaking female sailor, Dee Caffari MBE. More than 1,000 beginners and experienced skippers got out on the Mediterranean Bay – a purpose-built pool spanning 500sqm, which hosted a variety of activities, including Seabobbing, water walking and Stand Up Paddleboarding, it provided visitors with the opportunity to get out on the water for free and brush up on their boating knowledge. The show was officially opened by Made in Chelsea’s Lucy Watson. Other celebrities who made appearances included Adrian Chiles, Hugh Bonneville, The Overtones and television presenter Floella Benjamin. 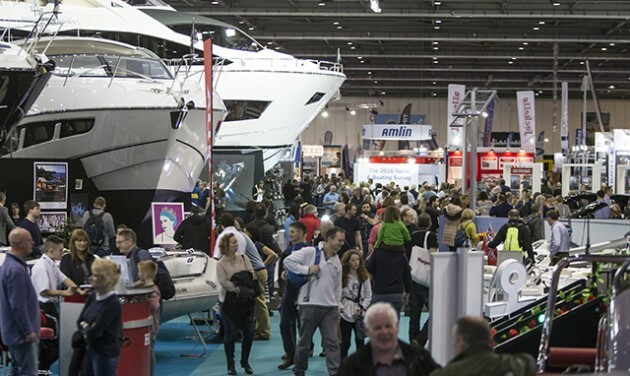 Murray Ellis, managing director at British Marine Boat Shows, said: ‘The quality of business achieved coupled with the fantastic attractions on offer and celebrity faces seen, has resulted in the 62nd London Boat Show being yet another successful show. At the heart of one of the world’s most pioneering capital cities, we have showcased the rich heritage of both British and international boating, latest marine innovations and designs to a global audience. Ben Metcalfe, managing director at Landau UK, said: ‘London Boat Show has been very positive for us, with some great cash sales at the show as well as a number of sales enquiries which the Landau team will be following up on after the Show. The Mediterranean Bay proved a great success and most of all provided a fun atmosphere! Greg Houlston, general manager at Broom Marine Services, said: ‘This has been our first time attending the Show as a standalone brand, and we have been delighted with both the positive feedback received and the number of sales achieved. ‘We have received strong enquiries and orders for service work and completed product sales for our Volvo Penta, Raymarine and Fusion offerings, along with a bulk order for the recently launched Engineguard security device for outboards, and boat demonstrations booked for Seakeeper boat stabilisation.